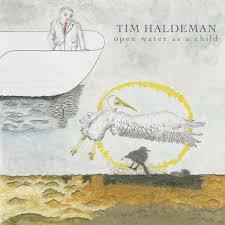 REVIEW: Tim Haldeman’s “Open Water As A Child” Gets a 4.5 Star Review from The Sydney Morning Herald! If ever an opening line was going to transfix you, “I followed whiskey into the country of Legionella” should do it. The Kerouac-influenced poem Open Water is graffitied through this album in three instalments, written and delivered by John Goode, whose voice is a scythe slicing straight into your central nervous system, against Tim Haldeman’s discrete piano. When he stops speaking the band surges into the breach, and is just as instantly compelling. The collective energy and sound has a serrated edge, partly thanks to Jordan Schug’s cello, and partly to bassist Ben Willis and drummer Jonathan Taylor generating a ferocity that winds back the clock to the 1960s. Even when they settle into a gentler groove, you feel the tension, like an attack dog striving to break its leash. Haldeman, who plays flute or, more often, searing tenor when not accompanying Goode, favours transparent textures, emotional enigmas and high stakes, with the cello and tenor joined by (alto (Dan Bennett) and trumpet (Justin Walter). He also keeps the surprises coming, so the funereal As Good as Gone gives way to the sprightly, Caribbean-inflected Take This Drifter, which builds back towards the opener’s maelstrom. ← REVIEW: Dan Ouellette on Judi Silvano’s Recent Appearance at Birdland!